Bake sales are a popular way to raise money for charity, and it’s easy to see why. They’re fun, delicious and, with the help of this guide, they don’t have to be difficult! Running a local bake sale is a great way to get communities involved in raising money for charity, as many charitable organisations have discovered. Macmillan pioneered the tradition of a ‘Coffee Morning’: a social gathering involving hot drinks and a lot of baked goods, all in aid of raising money. If you want to know how to plan a bake sale, look no further. This article provides you with a bake sale checklist and all the tips and tricks you need to ensure that your bake sale is, literally, a piece of cake. There are a few things you need to consider when planning a bake sale to make sure the day runs as smoothly as possible and attracts plenty of people. Plan your date and venue. Proper planning is the first ingredient of success. Ensure that your sale does not clash with another important event that may detract attention. Make sure the venue is accessible for families and for you to unload everything. Choose your bakers. Everyone knows that the more baked goods, the merrier. With this is mind, choose as many bakers as your heart desires. Let them know in advance the date you have set, to give them plenty of time to prepare. Choose a theme. 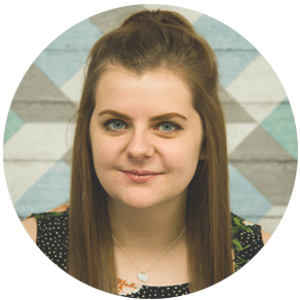 Having a theme is a great way to get people involved in, and excited about, your sale. If your planned date falls on or near a holiday, like Easter, consider having a holiday-themed sale. Themes can be based on anything, like your favourite animal or your favourite film. Be creative! Why not throw a competition into the mix(ture)? You could base the competition on the most creative idea or the best cake. A competition is a great way to get people excited and passionate about what they’re baking and coming to your event. Decide on what you’re baking. Cupcakes, brownies and cookies are always winners when it comes to a bake sale. It’s also worth thinking beyond bakes goods, such as chocolate treats, to appeal to everyone. Find out what everyone else is baking. It’s important that you know what everyone is baking so that your sale is varied and you don’t end up with too much of the same thing. Advertise the bake sale. One of the best ways to reach a large group of people quickly is through social media. Be creative with posts and invites and remember to include the date, time, and venue. Consider food allergies. In the advert for the bake sale, include a sentence telling people to inform you of any food allergies they have. This will help you to plan what you can bake to accommodate their allergy. On the day, consider displaying food allergen labels to ensure optimum safety. You can learn more about food allergies, and download free food allergen labels, here. Consider presentation. Decorations are essential for catching people’s eye. Be creative with your decorations and remember your theme. Plan transport. If the bake sale involves you travelling with your treats, consider purchasing a container that will guarantee safe transportation. Pick your prices. Plan how much you will charge for each item to give you less to do on the day. Take pictures. As well as snapping up the cakes, get snappy with the camera. It’s a great way to share the fun. 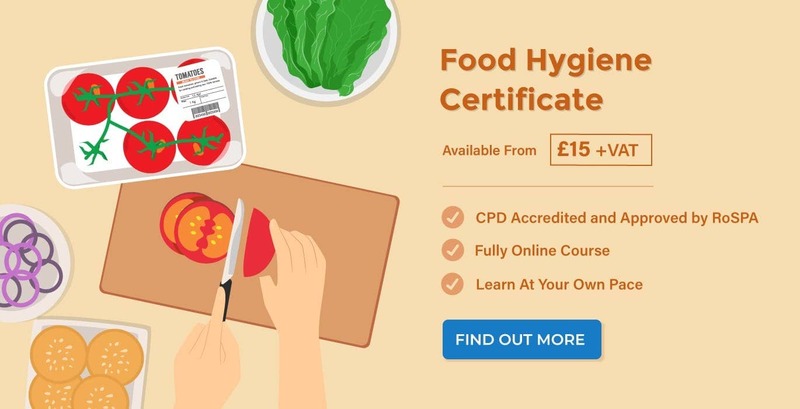 It’s not essential for you to receive certified food hygiene training for events such as one-off bake sales. Despite this, it’s still extremely important that you practice and maintain safe food handling, especially when handling allergens as mentioned earlier. The last thing you want during your bake sale is to have someone rushed off to hospital and a premature end to the fun. 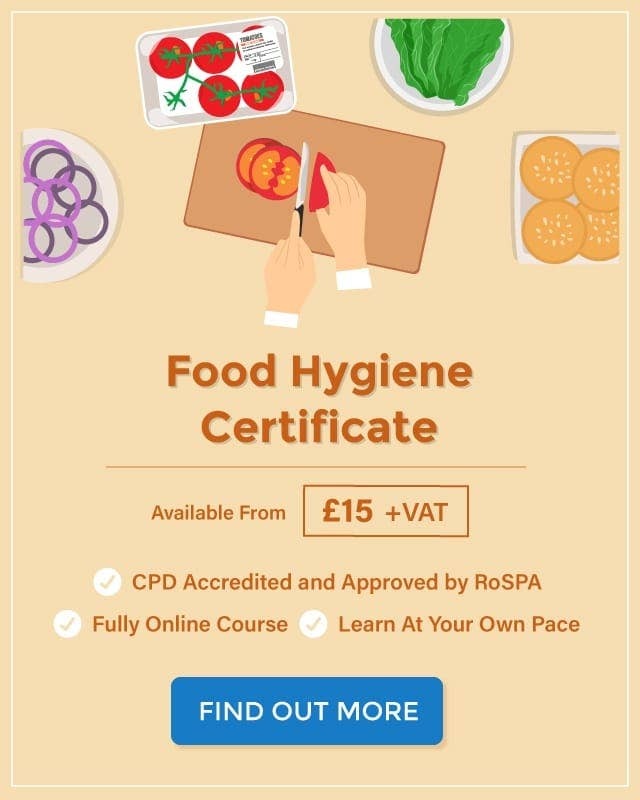 If you’d like to learn more about the ways to safely handle food, High Speed Training offer courses in Food Hygiene and Safety for Catering. To make your bake sale less daunting, we’ve composed a bake sale checklist for you to follow, which you can download below.